Ted Scott has been making photographs for more than four decades, and teaching about photography for more than three at Vancouver Community College, University of British Columbia, Ontario College of Art and Design, Ryerson University, The Art Gallery of Ontario, and University of Toronto. 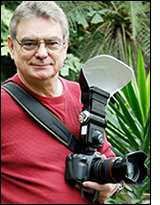 He has lectured about photographic topics at many camera clubs. Self taught from the Basic Photo Series books of Ansel Adams, Ted is a technician, knowledgeable of the science of photography, as well as the aesthetics of the medium—as witnessed by his many exhibitions, and by the fact that his photos are owned by many individuals and corporations including the Canada Council Art Bank.